If your Mac has a SuperDrive or Disc drive, you can boot the Mac from any bootable DVD or CD by using a special keyboard shortcut. 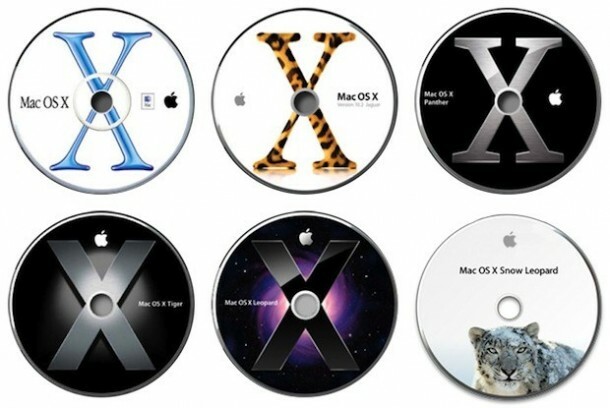 The bootable disc can be an OS X system restore disc, an OS X installation disc, or even a third party OS disc like Linux. Be sure the disc to boot from is actually bootable, most system restore and installation discs are. In order to boot your Mac from a disk in the CD / DVD drive, you’ll first want to insert disk into the drive, then you can either shut down the Mac, or reboot the Mac. The critical part is next: on system boot hold down the C key as the Mac boots up. This tells the computer to load from the disc rather than from the internal hard drive. Remember that booting from a CD or DVD is significantly slower than booting from a hard disk, so don’t worry if things are taking longer than usual to startup, it’s simply just slower to read from a spinning disc than the hard drive. What if when I try to do this, it asks me for a password I forgot? Sokoya – in that case, return the mac to the person you stole it from…. Thanks , it works with my Macbook Pro but only through software boot, not hardware boot. I tried it with Disc Warrior and I held it for almost a full 10 minutes and it never booted. Could that mean the version of DW is not compatible or that it really takes that long? hit the c key on boot . it will load cd. And then no response from the keyboard. What’s happening here? I already checked that all the pieces are okay by holding D and now that I want to do the CD boot, it doesn’t react when I hold C. I doubt that it’s when I do it because I’ve tried several things. Hi! I have G5 Power Mac and it will not start hard drive. All I get is blank screen with apple sign in the middle. I have tried to reboot it from CD/DVD many times but in vain. I try starting with option key pressed . It shows logo of my HD, but when I press enter it shows me blank screen with apple again with no improvement. I use Mac OS X v 10.2. Any help will he greatly appreciated. I pressed held down the C key during startup, but nothing happened. It was just the usual start up..
Hi, I have iMac.. And bootable DVD, when I use options key, it shows only recovery disk.. When I use c key, it goes into recovery options… Does not show any other partitions in start up menu….. What is the way to view boot options for DVD and USB…? how to boot from cd on m5138 pc bat i dont have apple keyboard. Mac is displayed with a blinking folder when I press C .